Is Cricket Flour or Cricket Protein Vegan? – Is It Vegan? Cricket flour or cricket protein is made from, you guessed it, crickets. Vegans do not eat insects. If you are looking for excellent sources of plant based protein, check out one of the following. Is Kraft French Dressing Vegan? 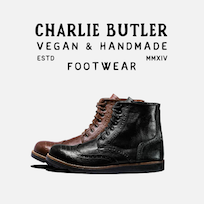 ← Is Fabricated Leather Vegan?